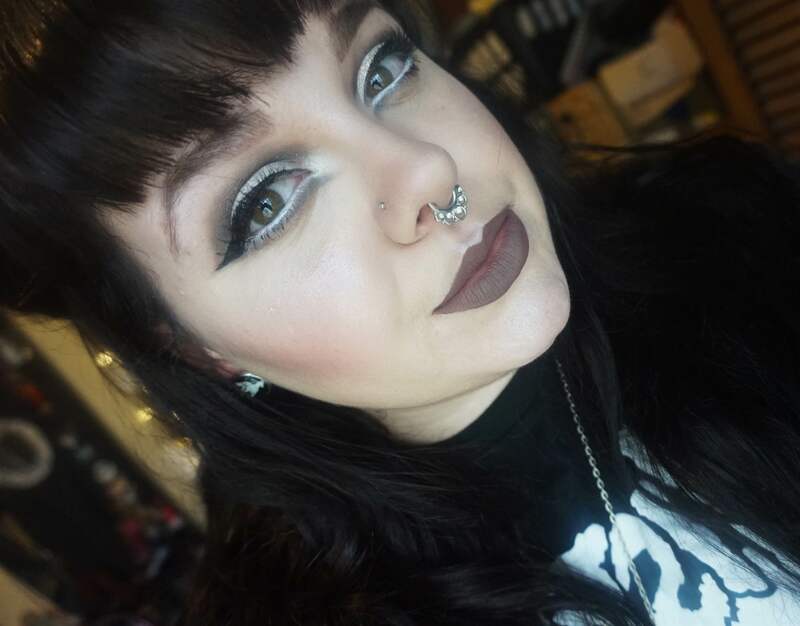 I’m back this week with another #fotd post, and I have to admit that this is one of my favorite looks so far! I’m a sucker for cool tones, especially grays. I actually sat down to do a subtle v cut crease shape, and then ended up with a dramatic cut crease that looks a lot like something inspired by Black Swan. Welcome to my life. I go to do a subtle look and end up with wings so large I can fly away from all my problems. So, if you’re here for details behind this almost fully monochromatic look, then you’re in the right place! Base: please don’t judge me, but I have totally fallen head over heels in love with using Nivea’s post shaving balm as primer. I can’t stop using it. Thanks to NikkieTutorials, my curiosity was peaked, and oh my gosh my makeup has been laying on my face like a damn dream. I’ll go over it more in my August favorites video in a few weeks, but that’s my primer today. Foundation is a mixture of Nars Luminous Weightless foundation mixed with Bourgois healthy mix serum, both in the lightest shades. I highly enjoy this combination, it gives my skin a healthy glow while remaining in tact all day. Contour is Lunatick Cosmetic Labs cool contour kit. For those wondering about when these are being re-released…I believe soon. I know they’re releasing a giant contour palette soon, and the packaging is honestly drool worthy if you’re a horror fan like myself. Blush is Kat Von D’s “Love Song” which is just a really pretty cool toned pink with a hint of shimmer, though the shimmer doesn’t show up on me. Highlight is Colourpop’s “Hippo.” Are we surprised? It’s my favorite highlighter. Something about that slight lavender glow gets me all kinds of excited. I just want to cover my body in it. Brows: My usual…Milani’s brow pomade in dark brown set with Nyx’s black brow mascara, and I use Ofra’s universal brown brow pencil to give myself some little hairs because my brows are a bit wimpy in some areas. Eyes: Primer is Hard Candy’s eye primer. I’ve been going back to this primer because it’s really cheap and the formula reminds me of the Too Faced one. 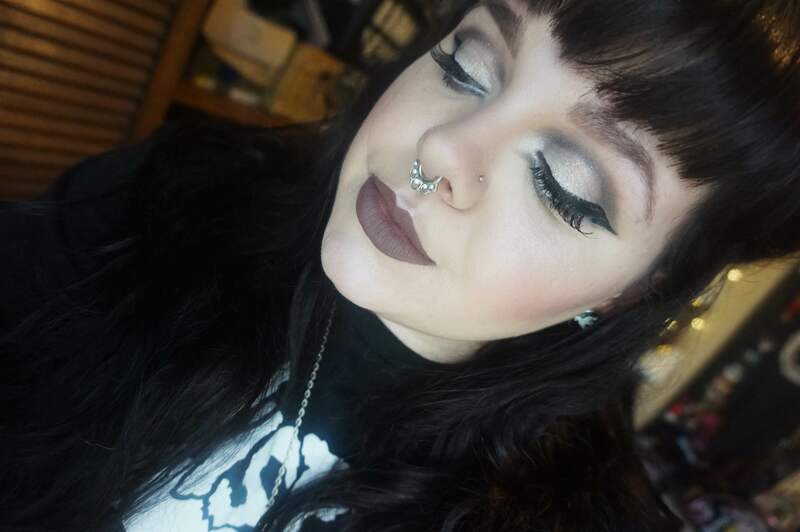 The palette I used today was Kat Von D’s Shade + Light Eye palette along with some single shadows. I used Nyx’s single shadow in “SOS” as my transition shade. 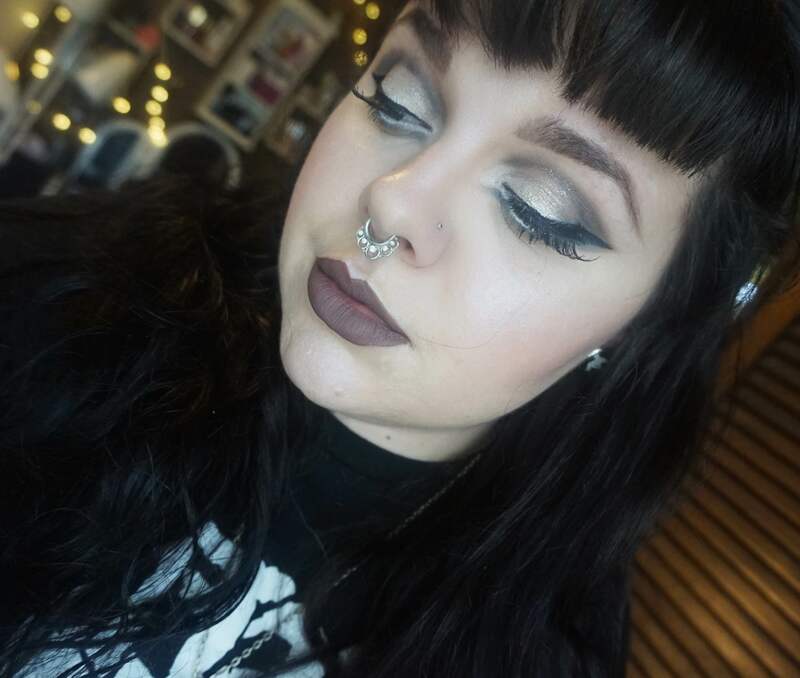 I then took the dark taupe shade in the Kat Von D palette and mapped out the cut crease. This is a cool trick to do if you’re not a master at cut creases, because I am truly not. I don’t do them often, because I find trying to make them even tedious and a bit frustrating. However, I had a bit of free time to fuss with eye makeup today. Tape also helps, which is what I also used. 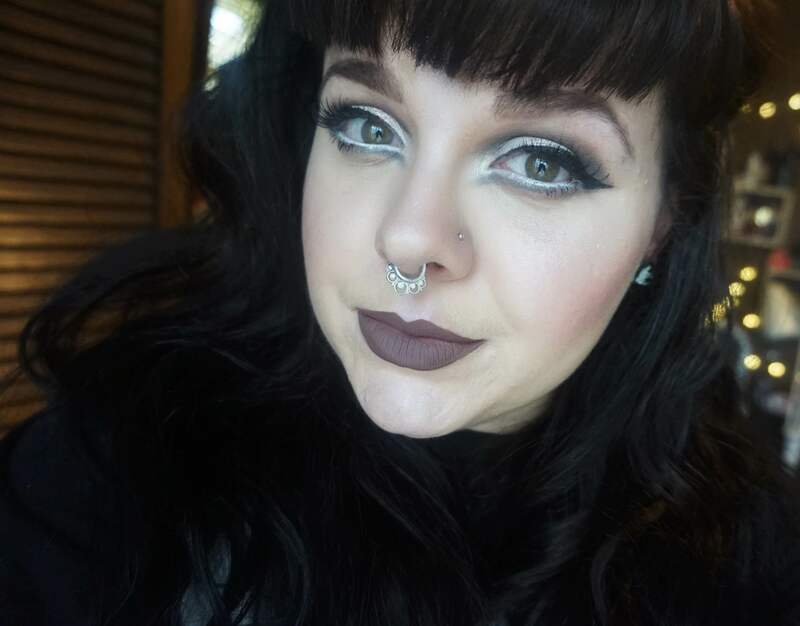 I mapped out the shape I wanted and then blended it out with Colourpop’s “Downtown” which is just a really rich deep taupe shade. I then took a little (think teensy baby amount) of black from the Shade Light palette and placed it on the outside corner and blended up to give my eye a bit of dimension. I then took Nyx’s jumbo eye pencil in milk and put that on my lid and used that to kind of clean up the cut crease. 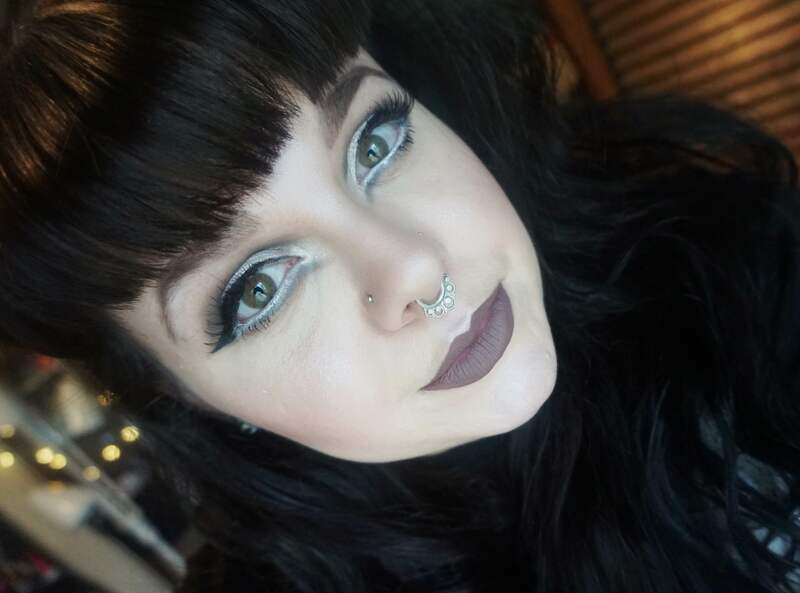 I went over that with Colourpop’s “Swan” which is just a gorgeous white glittery shade with silver sparkles. Liner is Physicians Formula eye booster pen in ultra black and filled in using NYC’s black liquid liner. This has been my go to liner combination lately. Lashes are Kiss #11 lashes. I probably could’ve went with a super dramatic lash, but I didn’t want to take away from the rest of the geometric vibe I had going on. On the water line i used “Milk” again and outlined the little inner corner “flick” using the black shade in the Kat Von D palette. I then blended that out softly using both “Downtown” and “SOS” I filled the open spot with Urban Decay’s “Polyester Bride” and put a bit of mascara on the lower lash line, but I don’t particularly think this look needed it. Lips: I lined my lips with Nyx’s 1000 years pencil and filled it in with Coloured Raine’s “Soul.” I have been wanting this color for so long, and I’m so happy it’s mine now. It’s so gorgeous. This formula is amazing as well. It’s moussey like the Stila formula, but it’s comfortable and not tacky and reminds me of how the Jeffree Star liquid lipsticks feel. I adore their packaging! I’ve only seen them advertise for the huge contour palette they’re re-releasing, so I hope that they restock the original lines, because they cool one is honestly the best formula/shade range I have ever worked with on my skin. Thank you so much for reading and commenting! Lol! I love it so far! It makes my foundation look really natural and not cakey around my nose which is something I tend to struggle with. Well hey if it works then that’s great! Why not then? I just might have to try it now lol. It would get a lot of use anyway using it after I shave my legs lol.